Back to work today but longing for your bike? Maybe dreaming of a little workshop where you can do the things you love every day? A growing number of contractors and freelancers are working as part of a grand plan. Our clients regularly share with us their designs to diversify their contracts, to move into a different sector, or frequently to pursue a passion and turn it into a viable business. Contractors and freelancers are an innovative bunch – always looking to find new contracts, emerging niches and working to suit their own aims. Javier is a successful IT developer working in London. His passion for adventure started early, with a move from his native Barcelona to the UK following graduation (which sparked a few raised eyebrows at the time). Javier wanted to pursue a career in the London finance markets as an IT developer and his timing couldn’t have been better. Following his move, the Spanish economy faltered and he quickly realised that coming to the UK was a fortuitous move. But that’s only half the story, he’s balancing his contracting business with a new venture to realise his dream of combining one of his passions with a new business in his hometown. Why not turn your passion into a viable business idea? You already have the know-how to run your own company and with a prudent approach, and with savvy investment, there’s no need to gamble the shirt off your back to try something new. After researching the market for your new venture, take the time to get things started. Some ideas are more straight-forward than others – becoming a published author may be a labour of love, but will need less cash investment and business planning than starting up a completely new business. Either way, it’s best to speak to an expert to ensure you’re financial plans are solid and that you comply with HMRC guidelines especially if it’s a diversification of your current business. 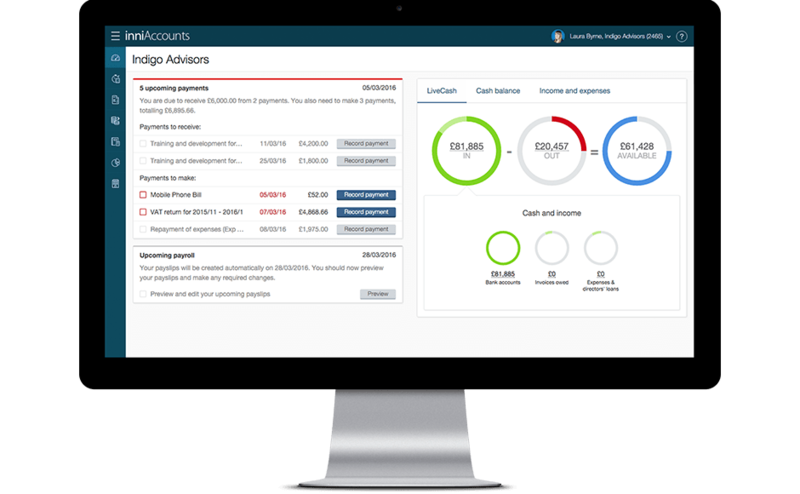 If you’re an inniAccounts customer, give your Account Manager a call for a chat; run your ideas through with us and we’ll help you make the right decisions to both get started and make the most of your funds. It’s time to get fired up. Grab that idea, give it a good shake and see what falls out! Stop asking “Why” and start saying “Why not!” Summer’s the perfect time to start making grand plans; dream, think, chat, mull over your ideas while on holiday. Then come back refreshed, excited and ready to get cracking. Our team of experts are here to get to know your individual goals. Planning to start a new business alongside your contracting? Or just hoping to free up more of your time to indulge a passion? Give us a call on 0800 033 7827 or chat with a member of our team now on our website to see how we can help you achieve your grand plan.